The reaction when two people lock eyes in a crowded room is a staple of romantic cinema. But the complex, unconscious reactions that take place are anything but make believe. You’ve doubtless had the experience when, across a noisy, crowded room, you lock gazes with another person. It’s almost like a scene out of the movies – the rest of the world fades to grey while you and that other soul are momentarily connected in the mutual knowledge that they are looking at you and you at them. Of course, eye contact is not always so exciting – it’s a natural part of most casual conversations, after all – but it is nearly always important. We make assumptions about people’s personalities based on how much they meet our eyes or look away when we are talking to them. And when we pass strangers in the street or some other public place, we can be left feeling rejected if they don’t make eye contact. This much we already know from our everyday experiences. But psychologists and neuroscientists have been studying eye contact for decades and their intriguing findings reveal much more about its power, including what our eyes give away and how eye contact changes what we think about the other person looking back at us. For instance, a recurring finding is that gazing eyes grab and hold our attention, making us less aware of what else is going on around us (that ‘fading to grey’ that I mentioned earlier). Also, meeting someone’s gaze almost immediately engages a raft of brain processes, as we make sense of the fact that we are dealing with the mind of another person who is currently looking at us. In consequence, we become more conscious of that other person’s agency, that they have a mind and perspective of their own – and, in turn, this makes us more self-conscious. 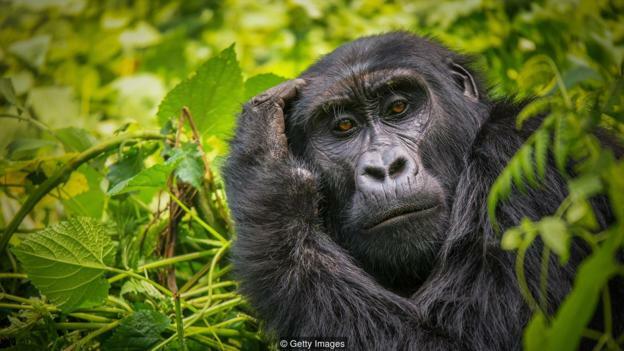 You may have noticed these effects particularly strongly if you’ve ever held the intense gaze of a monkey or ape at a zoo: it is almost impossible not to be overcome by the profound sensation that they are a conscious being judging and scrutinising you. In fact, even looking at a portrait paintingthat appears to be making eye contact has been shown to trigger a swathe of brain activity related to social cognition – that is, in regions involved in thinking about ourselves and others. Not surprisingly, the drama of realising we are the object of another mind is highly distracting. Consider a recent study by Japanese researchers. Volunteers looked at a video of a face while simultaneously completing a word challenge that involved coming up with verbs to match various nouns (to take an easy example, if they heard the noun ‘milk”, a suitable response would be “drink”). Crucially, the volunteers struggled much more at the word challenge (but only for the trickier nouns) when the face in the video appeared to be making eye contact with them. The researchers think this effect occurred because eye contact – even with a stranger in a video – is so intense that it drains our cognitive reserves. Similar research has found that meeting the direct gaze of another also interferes with our working memory (our ability to hold and use information in mind over short periods of time), our imagination, and our mental control, in the sense of our ability to suppress irrelevant information. You may have experienced these effects first hand, perhaps without realising, whenever you have broken eye contact with another person so as to better concentrate on what you are saying or thinking about. Some psychologists even recommend looking away as a strategy to help young children answer questions. As well as sending our brains into social overdrive, research also shows that eye contact shapes our perception of the other person who meets our gaze. For instance, we generally perceive people who make more eye contact to be more intelligent, more conscientious and sincere (in Western cultures, at least), and we become more inclined to believe what they say. Of course, too much eye contact can also make us uncomfortable – and people who stare without letting go can come across as creepy. In one study conducted at a science museum, psychologists recently tried to establish the preferred length of eye contact. They concluded that, on average, it is three seconds long (and no one preferred gazes that lasted longer than nine seconds). Another documented effect of mutual gaze may help explain why that moment of eye contact across a room can sometimes feel so compelling. 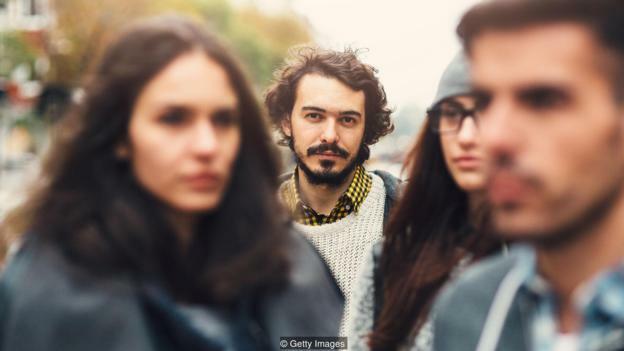 A recent study found that mutual gaze leads to a kind of partial melding of the self and other: we rate strangers with whom we’ve made eye contact as more similar to us, in terms of their personality and appearance. Perhaps, in the right context, when everyone else is busy talking to other people, this effect adds to the sense that you and the person looking back at you are sharing a special moment. The chemistry of eye contact doesn’t end there. Should you choose to move closer, you and your gaze partner will find that eye contact also joins you to each other in another way, in a process known as “pupil mimicry” or “pupil contagion” – this describes how your pupils and the other person’s dilate and constrict in synchrony. This has been interpreted as a form of subconscious social mimicry, a kind of ocular dance, and that would be the more romantic take. But recently there’s been some scepticism about this, with researchers saying the phenomenon is merely a response to variations in the brightness of the other person’s eyes (up close, when the other person’s pupils dilate, this increases the darkness of the scene, thus causing your pupils to dilate too). That is not to say that pupil dilation has no psychological meaning. In fact, going back at least to the 1960s, psychologists have studied the way that our pupils dilate when we are more aroused or stimulated (in a physiological sense), whether by intellectual, emotional, aesthetic or sexual interest. This has led to debate about whether faces with more dilated pupils (sometimes taken as a sign of sexual interest) are perceived by onlookers to be more attractive. At least some studies, some decades old and others more recent, suggest they are, and we also know that our brains automatically process the dilation of other people’s pupils. Either way, centuries prior to this research, folk wisdom certainly considered dilated pupils to be attractive. At various times in history women have even used a plant extract to deliberately dilate their pupils as a way to make themselves more attractive (hence the colloquial name for the plant: ‘belladonna’). But when you look another person deep in the eye, do not think it is just their pupils sending you a message. Other recent research suggests that we can read complex emotions from the eye muscles – that is, whether a person is narrowing or opening their eyes wide. So, for instance, when an emotion such as disgust causes us to narrow our eyes, this ‘eye expression’ – like a facial expression – also signals our disgust to others. Yet another important eye feature are limbal rings: the dark circles that surround your irises. 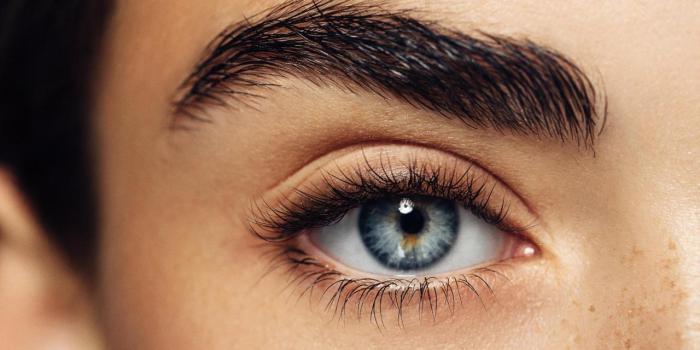 Recent evidence suggests that these limbal rings are more often visible in younger, healthier people, and that onlookers know this on some level, such that heterosexual women looking for a short-term fling judge men with more visible limbal rings to be more healthy and desirable. All these studies suggest there is more than a grain of truth to the old adage about the eyes being a window to the soul. In fact, there is something incredibly powerful about gazing deeply into another person’s eyes. They say that our eyes are the only part of our brain that is directly exposed to the world. When you look another person in the eye, then, just think: it is perhaps the closest you will come to ‘touching brains’ – or touching souls if you like to be more poetic about these things. Given this intense intimacy, perhaps it is little wonder that if you dim the lights and hold the gaze of another person for 10 minutes non-stop, you will find strange things start to happen, stranger perhaps than you’ve ever experienced before.